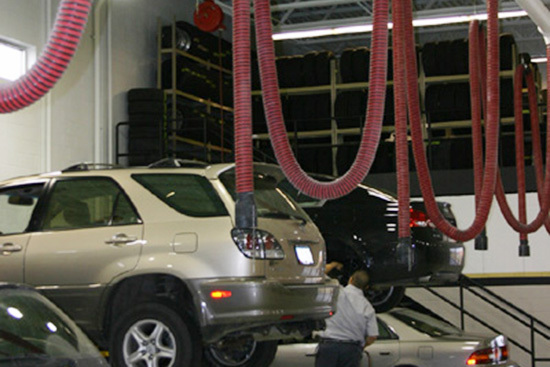 Vehicle exhaust fumes are a hazard in vehicle repair workshops, car inspection stations and other enclosed work spaces. Total Tool offers cost-effective products and complete vehicle exhaust removal system solutions from Eurovac and Monoxivent. The most effective method of removing vehicle exhaust fumes is at the source. Removal of the vehicle exhaust provides a safer and more pleasant working environment. An efficient removal system from Eurovac or Monoxivent minimizes air removal and movement, and thereby reduces investmenting in air handling equipment and saves energy. 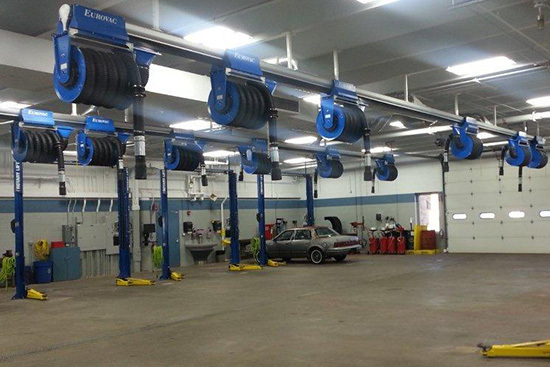 Total Tool’s experienced crew will help you with everything from designing and planning a vehicle exhaust removal system to installation, service and maintenance.